The IRS opened the 2018 income tax return filing season on January 28. Even if you typically don’t file until much closer to the April 15 deadline, this year consider filing as soon as you can. Why? 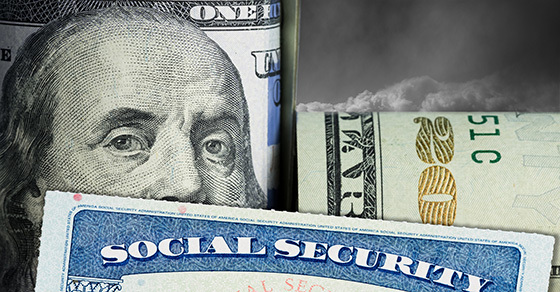 You can potentially protect yourself from tax identity theft — and reap other benefits, too. What is tax identity theft? In a tax identity theft scheme, a thief uses your personal information to file a fraudulent tax return early in the tax filing season and claim a bogus refund. You discover the fraud when you file your return and are informed by the IRS that the return has been rejected because one with your Social Security number has already been filed for the same tax year. While you should ultimately be able to prove that your return is the legitimate one, tax identity theft can cause major headaches to straighten out and significantly delay your refund. Filing early may be your best defense: If you file first, it will be the tax return filed by a would-be thief that will be rejected — not yours. What if you haven’t received your W-2s and 1099s? To file your tax return, you must have received all of your W-2s and 1099s. January 31 was the deadline for employers to issue 2018 Form W-2 to employees and, generally, for businesses to issue Form 1099 to recipients of any 2018 interest, dividend or reportable miscellaneous income payments. If you haven’t received a W-2 or 1099, first contact the entity that should have issued it. If that doesn’t work, you can contact the IRS for help. What are other benefits of filing early? Besides protecting yourself from tax identity theft, the most obvious benefit of filing early is that, if you’re getting a refund, you’ll get that refund sooner. The IRS expects more than nine out of ten refunds to be issued within 21 days. But even if you owe tax, filing early can be beneficial. You still won’t need to pay your tax bill until April 15, but you’ll know sooner how much you owe and can plan accordingly. Keep in mind that some taxpayers who typically have gotten refunds in the past could find themselves owing tax when they file their 2018 return due to tax law changes under the Tax Cuts and Jobs Act (TCJA) and reduced withholding from 2018 paychecks. If you have questions about tax identity theft or would like help filing your 2018 return early, please contact us. While the new Form 1040 essentially does fit on a postcard, many taxpayers will also have to complete multiple schedules along with the form. And the TCJA has changed many tax breaks. We can help you ensure you file an accurate return that takes advantage of all of the breaks available to you.